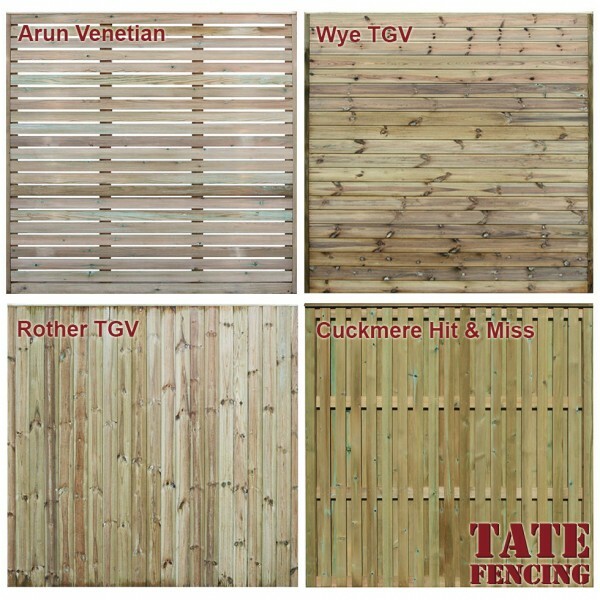 The Sales team here at Tate Fencing are excited to announce our new range of Garden Panels for 2015! We can now offer a choice of FOUR NEW designs to complement any garden environment. The Arun ‘Venetian’ Panel is a modern slatted vision panel that can be used as decorative screening or an exciting alternative to the standard garden fence panel. The Cuckmere ‘Hit & Miss’ Panel is a heavy duty slatted double clad panel that is open in its design without compromising on privacy. The Rother ‘Tongue & Groove’ Panel is a solid vertical clad panel using tongue & groove material; similar in design as the Closeboard Panel. The Wye ‘Tongue & Groove’ Panel is a solid horizontal clad panel using tongue & groove material. All panels are manufactured in heights starting from 0.9m up to 1.8m, at a standard width of 1.83m. Before, During & After; A recent Summerhouse Installation by Tate Fenci... Visit us the Heathfield Show 2015!